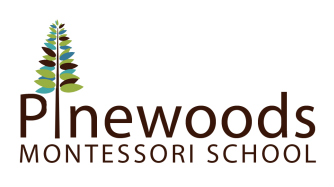 We are very excited by the plans for Pinewoods’ growth! In July 2017, we signed the lease on the entire 109 Millstone building. We assessed the needs of our existing classrooms and determined improvements that we could make to our facilities to better meet our Montessori mission. Then, we looked at opportunities for growth with the increasing population in Hillsborough and the surrounding areas. We gathered input from teachers, parents, board members, and students. To draft our expansion/renovation plans, we worked with local architect, Jim Spencer, as well as highly recommended contractors and engineers. We began phase 1 of construction in June 2018. Phase 1 added an indoor multi-purpose room/play-space, a staff break room/kitchen, a new entry area with a small library, and two beautiful, new classrooms! We have also renovated our upstairs, added in a bathroom, and made the space more accessible by adding in an elevator or lift. Next summer, we are hoping to renovate and rework the other side of the building, which includes adding three two primary/toddler classrooms with attached bathrooms, closets, and kitchenettes.